Snopes, a left-leaning fact-checking website given preferential treatment by Facebook and Google, botched its fact-check of a viral meme that was mocked within political circles for spreading false information. The meme showed a picture of President Donald Trump with Republican lawmakers and members of his administration following the House’s vote to repeal Obamacare in 2017. 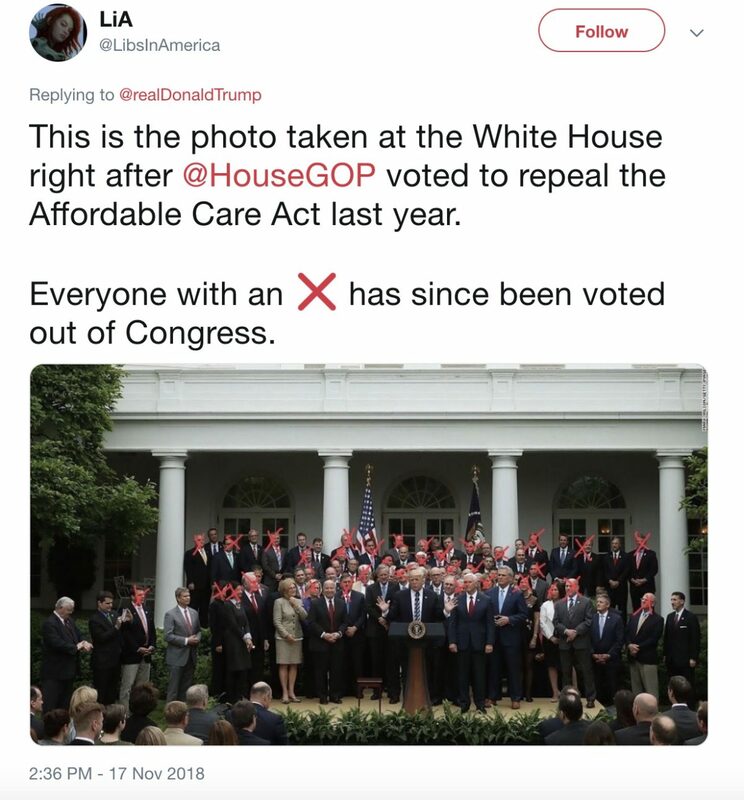 Thirty-three people in the photo Snopes used had a red X over their face, though it cropped out a 34th person included in others. Political reporters mocked the meme’s inaccuracies after Nicholas Kitchel, a former Hillary Clinton campaign staffer, shared it in a Nov. 17 tweet.